The Denton County Homeless Coalition (DCHC) seeks to promote a community-wide commitment to the goal of making homelessness RARE, BRIEF and NON-RECURRING through coordinated services delivered to those experiencing and those at risk of homelessness. The coalition is composed of representatives from non-profit agencies, Denton County cities, school district and other engaged stakeholders. Our commitment guides us to connect community resources and encourage innovations for continuous improvement. The coalition works with the lead entity for the Continuum of Care (CoC) planning process, the Texas Homeless Network (THN) in a collaboration known as the CoC Balance of State. 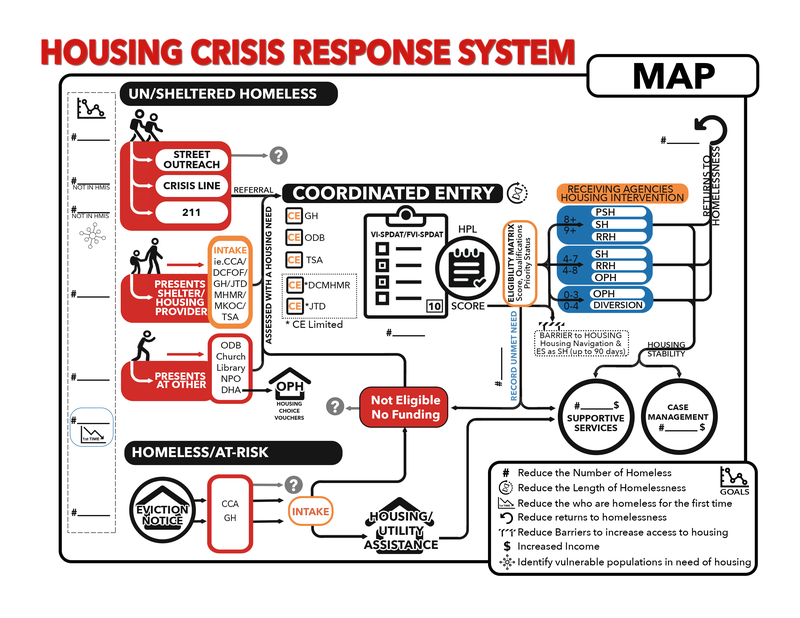 DCHC implements CoC strategies in Denton County as well as coordinates homeless funding opportunities like the Emergency Solutions Grant and initiatives related to Denton County like those of our partner, the Denton County Homeless Leadership Team. The DCHC general membership body, led by its elected leadership steering committee, uses information identified by its service providers and the annual Point-in-Time Homeless Count to review and approve goals for the provision of services; update priority services and service populations; and identify gaps in service, changes in services offered, and populations served.